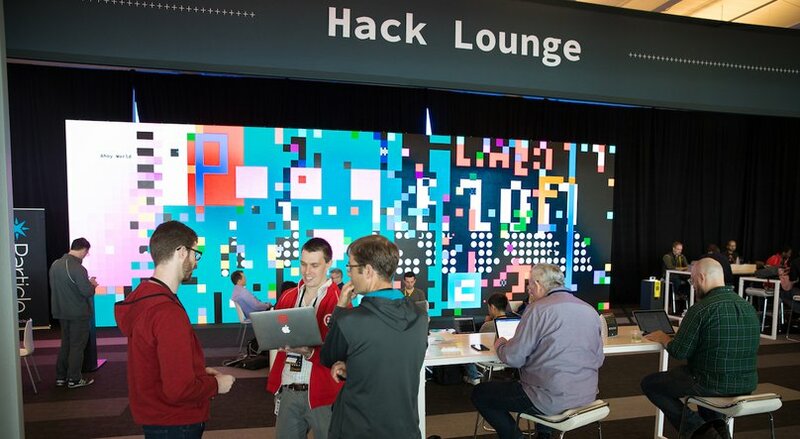 If you're a developer who uses Twilio, you've probably seen an email, tweet, or advertisement asking you to come to our SIGNAL conference on October 17th and 18th in San Francisco. We know we're asking a lot when we ask you to join us at SIGNAL. We're asking for two days of your time (three if you do SuperClass) and close to a thousand dollars of your cash (less if you use the promocode at the bottom of this post). But we wouldn't ask you to give so much if we weren't confident you'd get even more in return. I've had the privilege of attending the last three SIGNALs. As a developer, I wanted to share a few reasons why you, as a developer, might want to join us this year. 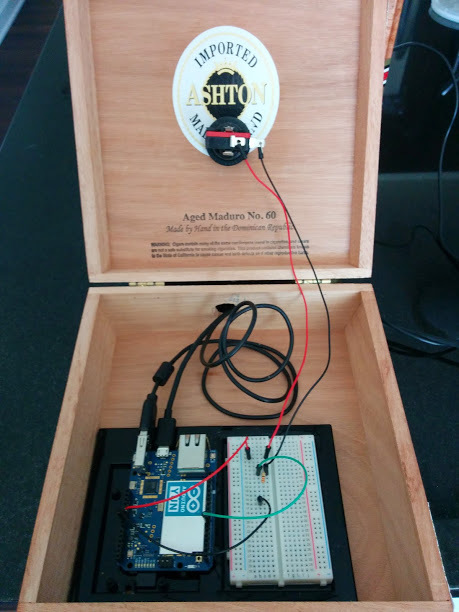 So if you’re building out a quick CRUD app for e.g. internal use, Google Docs as a backend (consumed via JSON) is *surprisingly* powerful. In this tutorial, we’ll use Anton Burnashev’s excellent gspread Python package to read, write, and delete data from a Google Spreadsheet with just a few lines of code. Server side, Tesseract.js only works with local images. But, with a little help from the request Node package, we can download a remote image from a URL and then OCR it with Tesseract.js. One of the many allures of Twitter is that you can tweet at your favorite celebrity and (maybe) get a response. Still though, tweeting isn’t quite as intimate as trading text messages. So we thought it’d be fun to use Markov Chains, Programmable SMS, and Python to create a bot that impersonates your favorite Twitter personality. We could use the code below to create an SMS chat bot that sounds like anyone with a Twitter account. But to show off it’s true potential, we need to someone with a distinct and recognizable tweeting style. Someone with a huge personality. Someone who has the best words. Ever wish that you could debate Trump? Drop him a text at: 847-55-TRUMP (847-558-7867). Download the tweets for a given user to create a corpus of text. Twilio Quickstarts make it easy to get started with Programmable SMS. But where do you go to learn more after you send and receive your first text messages? 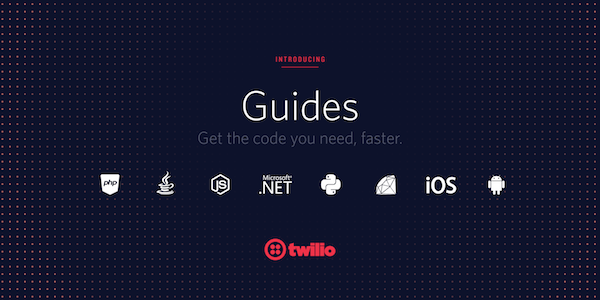 Twilio Guides are the documentation you need after “Getting Started.” Guides answer common questions and come replete with code snippets in all the most popular languages so that you can build your Twilio app faster. 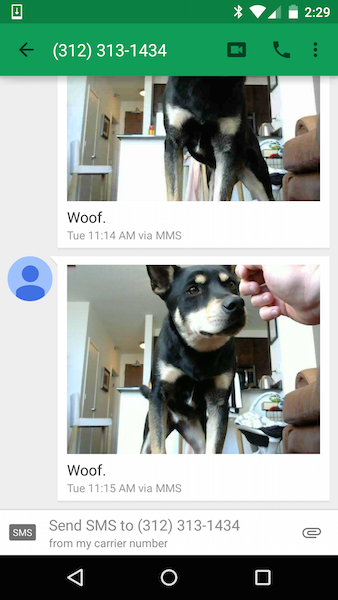 SMS interactions typically span more than one text. Twilio offers an easy way to track SMS conversations without spinning up a datastore. A phone was once the fastest way for a sports fan to get their news. In the 70s, 80s and 90s a business called Sports Phone served as a fan’s lifeline for up-to-the minute sports reports. The concept couldn’t be simpler: You call a number and hear a minute-long message with the latest scores and sports news. A half hour later, if you want another update, you call again — and pay another dime. If you’d like some explanation on how that code works, watch this short video, or just keep reading. When someone texts your Twilio number, Twilio makes an HTTP request to your app with details about the SMS passed in the request parameters. In this post, we’ll use Sinatra to handle Twilio’s request, parse the parameters, and to send a response. Then we create a route called message to accept a POST request. Hello <?php echo $number ?>. To learn more about how this works, watch this one minute video, or just keep reading. When someone texts your Twilio number, Twilio makes an HTTP request to your app. Your app parses the request, then sends back an HTTP response with instructions for what Twilio should do next. When someone texts your Twilio phone number, Twilio makes an HTTP request to your app. Details about the inbound message, such as what it said and the number it was sent from, are passed in the parameters of that request. 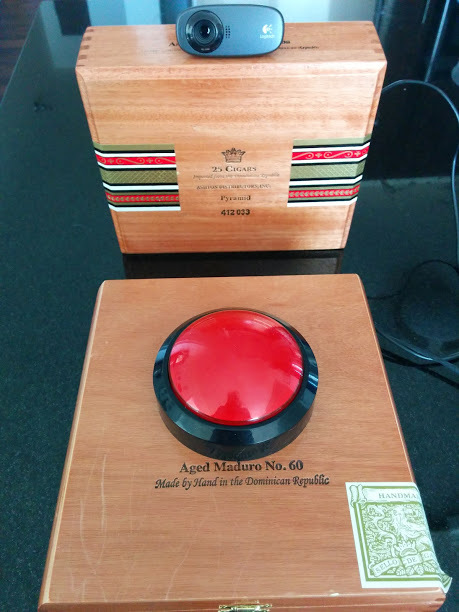 What you see in the video is a cigar box (your local cigar shop probably sells empties for $2) housing a “massive arcade button” and an Arduino Yun. The webcam is plugged into the USB port of the Yun, and a micro-USB cable runs out to a power source.